Our Clients are the Lifeblood of our Business! Talent is our business and our business is talent. Our goal is to obtain & maintain strong partnerships with our clients. We seek, we strive and we live to recruit, retrain and retain high potential, high performing people! We seek to build a talent-centred world. We strive to attract and retain the most driven consultants; to source and select the best skilled candidates; and to maintain and service the fastest growing clients. We live our values, RISE – respect, integrity, service, excellence, to build networks; the web of relationships we have with suppliers, customers, employees, and investors, in order to co-create and to capture economic value. Sloppy HR practices lead to negative human capital development, resulting in negligent recruitment processes, negligent training systems and negligent retention strategies, often becoming huge obstacles to growth and prosperity. In contrast, positive talent management approach leads to acquiring the best talent, developing strong pipeline talent and achieving more than expected results. A talent-centred workforce is an asset that has mastered the skills to turn the workplace into a wealth generating machine, a strategy that is extremely difficult for competitors to emulate! We know the market – the demand and supply of skills affecting compensation, location, and other perks, on offer. Rand and rate competence and confidence using interviews, assessments and background checks. Recruitment Process Outsourcing (RPO) is the business process where an employer transfers recruitment processes to us as external RPO providers. Essentially we are serving as an extension of your company’s human resources department in a consultative and customizable manner. Our RPO services entail us taking on your entire recruiting function, or only specific services that help your internal recruiters to do more and to do it better. Speeding up the time-to-hire is not enough; you also need faster time-to-productivity. The Sherpa Leaming Management System is our proprietary retraining programme that is designed to monitor and evaluate the entire company training and develop. It focuses specifically on remediating all risky patterns of behaviour that result in loss or injury, while at the same time, inspiring employees to engage into desired action that leads to growth and prosperity. Most importantly, the SLM System, highlights negligent training practices in order to eliminate them. Coordinate Training Delivery – schedule, implement and coordinate the entire process beginning with the design of the Workplace Skills Plan, the Annual Training Plan and ending with Professional Development Plan for each employee. Success drivers in today’s world rest largely on growing an organisation – increasing its customer base, speeding up its delivery processes, and collecting and investing its money. These key functions are best accomplished by employing and growing the brightest and the best poeple. 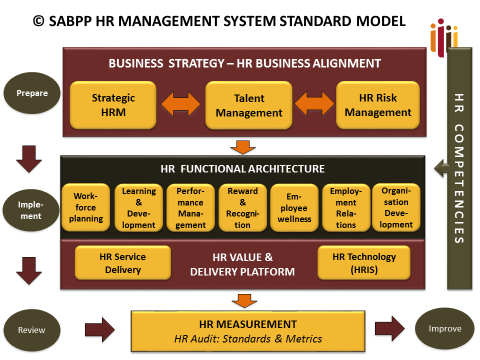 Human Resources Management is no longer sufficient – remuneration and compliance are no longer sufficient to acquire and sustain high performers. The gap between ever increasing HR needs and declining HR service delivery is the cause of the increase in negligent retention pracdtices. Organisations are at various stages of development – from start-up, to shape-up, to step, we have a talent strategy for you!